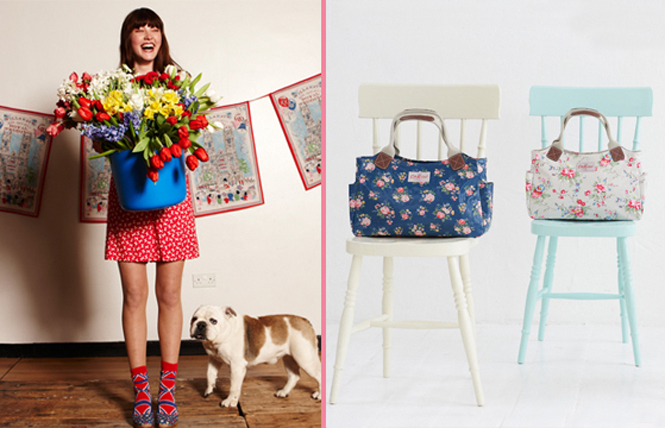 Cath Kidston is a wonderful British pattern designer who is "so hot right now" in the UK. (yes that was a Zoolander reference). I didn't think you could get her stuff in the US until I stumbled upon her site yesterday! Her patterns are oh-so-lovely, and oh-so-English. The site describes her style as "...clever, witty re-working of traditional English country house style." BAGS are her main thing but she has a plethora of other products, clothes, accessories, decor and even rolls of fabric. Many of her bags are coated so are easy to wipe off and would make superb diaper bags. Check her out!